In the traditional view of emotion, emotions are their own entities, with their own essences, which can be found somewhere in the brain and which manifest in particular expressions we can all recognize. 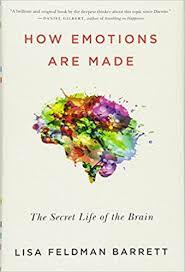 In How Emotions Are Made: The Secret Life of the Brain, a fascinating book by Dr. Lisa Feldman Barrett, the author presents a research-supported paradigm shift. Emotions are not inborn things to be found; they are made. Just like any thoughts or perceptions, emotions are constructed, and variability is the norm. Our brains are actively participating in our realities, imposing meaning on stimuli rather than simply receiving meaning from the world around us and/or the physical sensations within us. In other words, we see what we believe, rather than believe what we see. If the brain were merely reactive, it would require too many interconnections to be metabolically efficient and keep us alive. It is advantageous for the brain to represent information utilizing as few neurons as possible. It does this by separating statistical similarities from differences and categorizing a set of experiences in a concept, as a kind of shorthand, to provide meaning and inform action. An emotional category such as “Anger” is merely a concept that we use, with the aid of language and a probabilistic assessment of past experiences, to understand a variety of experiences in the present. Just as our concepts of color guide us to see only seven colors of the rainbow despite the many frequencies within each color category, we recognize emotions only as much as our constructed concepts allow. These concepts are basically our best guesses at what is going on in any particular moment, so that we can figure out how to deal with it to stay alive and well. Because the body is just another part of the world that the brain must explain, our emotions may be telling us as much about what is going on within us as much as what is going on around us. With our limited amount of energy resources, the brain must constantly use past experience to predict the body’s need for these resources, and to budget accordingly. When the budget is unbalanced, the state of that budget is felt, prompting the brain to search for explanations. This may then be conceptualized as an emotional experience. Misinterpreting the reason for a bad feeling can lead to mistakes. For example, judges are more likely to deny parole for hearings that occur just before lunchtime. With emotional well being so closely tied to success in school and in life, and with emotions so inextricably linked to our physical states, it is wise to take good care of our bodies and minds, and to tend closely to the emotions we construct. For families on the go, podcasts can be a great way to make any time a time for learning. Play a podcast during chore time (it will make folding laundry or loading the dishwasher feel enjoyable – really! ), the morning drive to school, or through headphones when your child must wait to see the doctor or dentist. 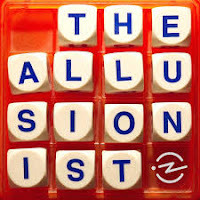 We’re sharing some of our favorite podcasts, organized by the age of the intended listener. Today’s post lists our choices for elementary school children; later this week, we’ll share our selections for students in middle and high school. All will sneakily build vocabulary and background knowledge while they entertain the whole family. And, happily, all are free. 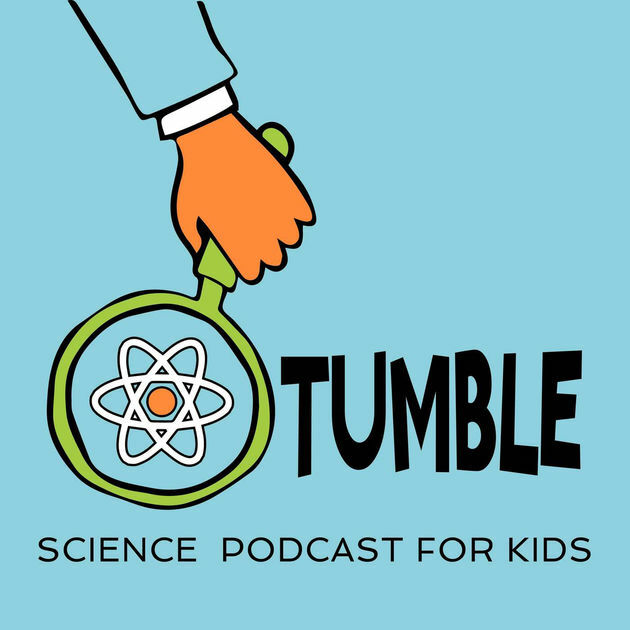 This rather strangely named podcast explores kid-friendly ethical questions (“Do you have to love your sibling?” “Are some lies OK?” “Is it ever OK to fight back against a bully?”) that will get young minds churning. 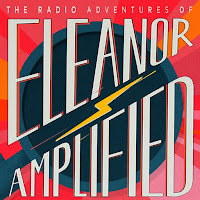 Radio journalist Eleanor travels to locations as ordinary as the gym and the breakfast table and as exotic as Congress and outer space as she follows scoops. Her adventures are enjoyable and enlightening. 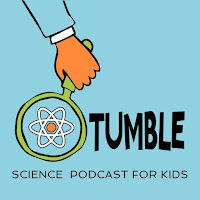 Tumble – Episodes are just under 20 minutes long. Small scientists will love learning about scientific topics like Antarctic dinosaurs, Mars, deep-sea creatures, parasites, and more from experts and researchers. 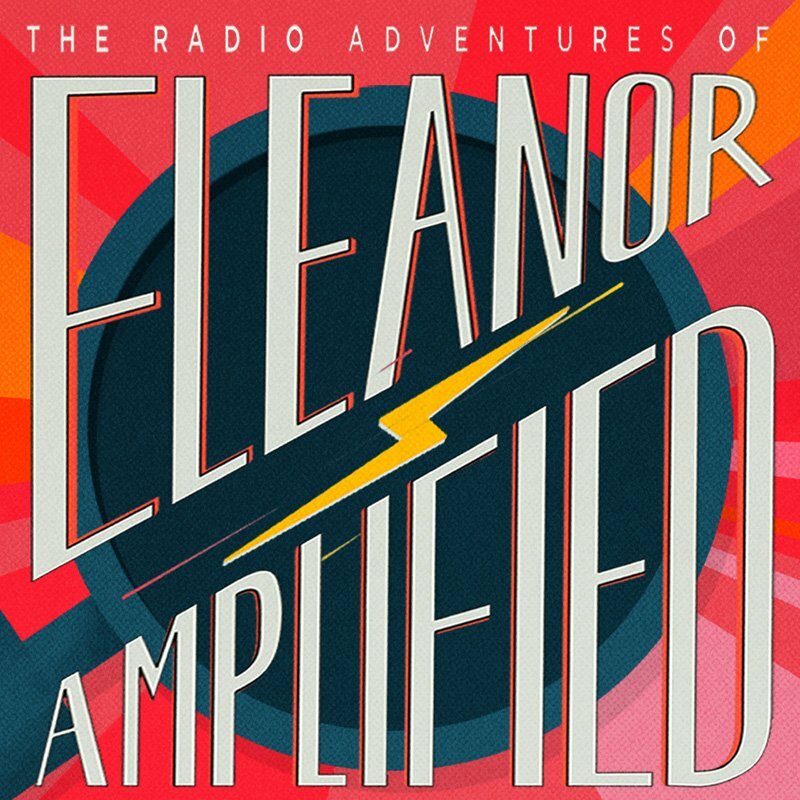 The Radio Adventures of Dr. Floyd – Episodes range from 6 to 15 minutes. Follow the adventures of the World's Most Brilliant Scientist, Dr. Floyd as he tries to thwart the plans of his evil arch nemesis, Dr. Steve. All the while Dr. Floyd (and listeners) learn about the people and events that shaped the history of the Earth. 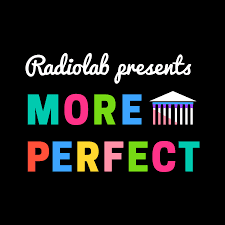 This podcast has been described as a mix between Rocky & Bullwinkle and Mystery Science Theater 3000 with an educational spin. For great stories, check out Storynory (tales are a little more than 20 minutes long) and the Stories Podcast (tales are around 15 minutes long). A number of years ago, we looked at a program called, A Book on Every Bed, which was designed to encourage families celebrating Christmas to leave a book on every child's bed, so that he or she would wake up Christmas morning with the special gift of a book. 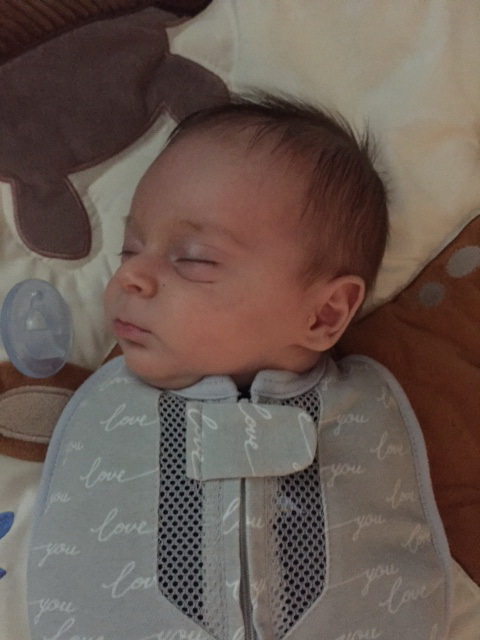 Even though Christmas has come and gone this year, we were reminded of this initiative just yesterday, when your blogger "played hooky" and took a one-day trip from New York to Washington D.C. to spend time with her new grandson. This baby is surrounded by books. They are part of his life long before he can even speak, let alone read. His parents have been the beneficiaries of numerous gifts of books - classics they recall from their own childhoods and new books that are destined to be classics in years to come. They have started reading to him even though he is only a few weeks old. But too many children aren't as fortunate. 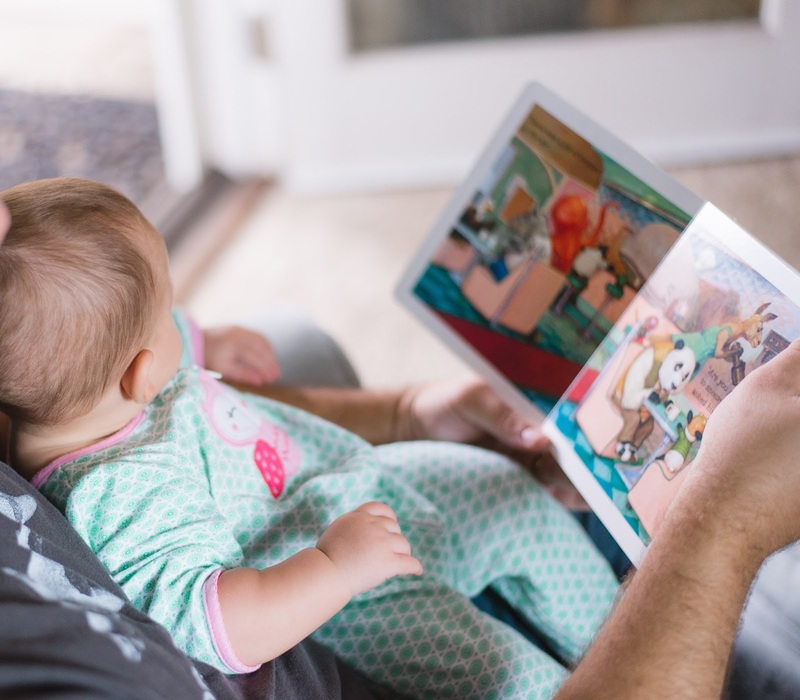 We know that reading to and with children builds crucial skills that stay with children as they grow and develop. That's why we have been big fans of the national nonprofit organization, Reach Out and Read (ROAR), which we have written about before. Building on the fact that over 90 percent of young children are seen in a pediatric practice at least once a year, ROAR provides training to doctors, nurses, and nurse practitioners in how to talk to parents about the importance of reading to their children; how to demonstrate to parents how to interact with their children while reading - including cuddling and setting reading routines; and then gives a new book to each child to take home and keep. If your child lives a life rich in books and reading, you may want to learn more about Reach Out and Read, and express your gratitude by helping a less fortunate child to know the same joy of books and the benefits that reading brings. Over the years, we've written about sleep countless times. But one question that many families who come to The Yellin Center ask is just how much sleep is appropriate for students at different ages. The panel noted, "Importantly, ... some individuals might sleep longer or shorter than the recommended times with no adverse effects. However, individuals with sleep durations far outside the normal range may be engaging in volitional sleep restriction or have serious health problems. An individual who intentionally restricts sleep over a prolonged period may be compromising his or her health and well-being." There are variations in how much sleep children and adults need to thrive. But if your child -- or you -- is consistently sleeping outside these general guidelines, it could have an impact on learning and health, or be a symptom of an underlying medical issue. In either case, it is worth discussing with your physician. Last year, we wrote about research supporting a way to manage emails while managing stress. Tending to our internal needs while interacting with the external world has become a particularly challenging and important task as technology has increasingly saturated our daily realities. With smartphones vibrating in our pockets, lighting up next to our beds, and dinging at us from our desks, it can be easy to feel as if we are owned by technology rather than vice versa. With so many distractors competing for our attention, and with attention being so vital for completing the tasks consistent with our goals and desires, we find ourselves in a historically unique predicament. Of course, while there wasn’t Facebook to check or text messages to respond to in the past, distraction was always a part of life. For example, one of our oldest ancestors might have been foraging for food when suddenly there was a rustle in the trees signaling a nearby predator. This would trigger a shift in focus away from the original goal (finding food) to a more pressing need for survival (escaping the predator). Illustrated in this example is that distractibility can actually be adaptive, which is precisely the reason it evolved. It is therefore important to remember that the key to optimal attention is not to avoid or somehow rid of distractibility, but to modulate our focus in the best way. 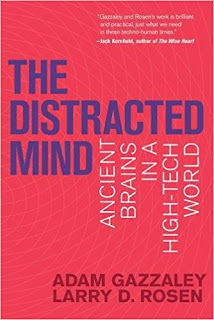 Authors Adam Gazzaley and Larry D. Rosen emphasize this in their book The Distracted Mind: Ancient Brains in a High-Tech World. 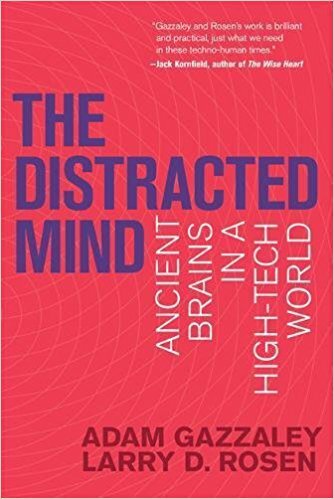 They present a wealth of interesting research regarding the brain, its cognitive feats and limitations when it comes to attention, our behaviors as they relate to focus and distractibility, and the impact of constantly shifting our attention as technology beckons. Finally, they suggest ways to take control and maximize your productivity and general well-being in the face of so much technological buzzing. We appreciate and recommend this book, not just as professionals who work with many students struggling with attention, but as imperfect, self-reflective people who are always looking to understand ourselves better and improve the allocation of our own attentional resources. Perhaps you can challenge yourself to put the smartphone down and give it a read! It's early January, and most of us are still working on our New Year's resolutions. Even if most of these promises to ourselves won't last the month, there is one easy fix for making life easier that might just stick longer - perhaps even permanently. Whether you are a harried parent, an educator, or a student, a simple white board can bring big benefits in helping to keep track of everything from shopping lists, to homework, to important dates. The key to making a white board an effective tool is size - the bigger the better - and prominence. Tucking your white board behind a door or in a corner will not be anywhere near as helpful as putting a large board of at least two or three feet in diameter smack in the middle of your room, your classroom, your office, or your kitchen. You don't even have to have an actual board. 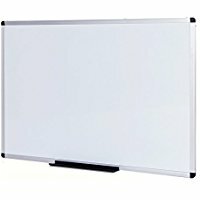 There are now whiteboard or dry erase paints, that can transform any wall area to a white board. But you do need to keep erasable markers in a variety of colors (the better to catch your attention) nearby, as well as an eraser. And some boards are also magnetized, so magnetic clips will allow you to post fliers and reminders. Just don't overcrowd your board so that reminders get lost in the clutter. It should draw your eye to its reminders and messages every time you pass by. And what if you don't really want to have everyone see that you have a doctor's appointment next Thursday? Use initials or other abbreviations that mean something to you but can still keep your essential information private. What about electronic reminders and calendars? Aren't they more helpful? They are helpful and can be lifesavers for folks on the go. But the whiteboard is not intended to replace them, only to supplement them. Further, a whiteboard can be seen by everyone in your household, so they are terrific for such reminders as "Thursday is recycling pickup" or "Turn down the heat before you leave for the day". Putting "to bring" lists out in the open for each student in the family (and for parents, too) can help family members remind one another about things to take with them when leaving for the day. "Joe, did you bring your sneakers for gym?" "Mom, I need my permission slip signed. Did you give it back to me?" Our whiteboard has the message "Blog on Friday" written at the top. We can cross it off now ... and hope that our reminder has been helpful to you too. More than 23 million users sharing almost 28 million projects gives some small idea of the popularity of Scratch, which describes itself as "a programming language and an online community where children can program and share interactive media such as stories, games, and animation with people from all over the world." A project of the Lifelong Kindergarten group at the MIT Media Lab, Scratch was recently celebrated in Ed., the Magazine of the Harvard Graduate School of Education, on the occasion of Scratch's 10th anniversary. When children were asked to share what they would tell a friend about Scratch, the top 10 responses included such terms as "excitement", "imagination", and "possibilities". The developers of Scratch aim to help children -- generally from ages 8 to 16, although there is a version for younger children, ages 5-7, available as a free app called ScratchJr. -- "think creatively, work collaboratively, and reason systematically." There is no charge to use Scratch. In addition to information for parents about Scratch, to enable them to understand how it works and to explain the guidelines of the Scratch community, the folks at the Harvard Graduate School of Education have created an online community for educators, ScratchEd, to enable them to share resources and stories. Scratch is a resource worth checking out.